Given the difference in structure, feedback cadence, and team composition — each of these practices may fit into different organizations. I’d be interested to know your opinion about how such a match would be discovered: through analysis/categorization? through experimentation? maybe choice? Example: can any organization or team simply *choose* from these three? Or can these options be reduced to a single, best option through categorization? In my opinion, I think it really depends on the goals and make up of the organization. If the organization is trying to build a “product”, then I think scrum is the best framework to follow. However, if they were building a “set of services”, then Kanban or OpenAgile may be better suited. 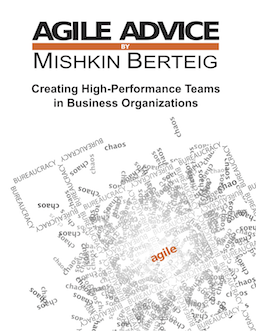 Organizations can also experiment between the agile practices to see what’s best suited for their environment. They may even choose to blend the practices (e.g. utilizing the Kanban board while conducting scrum ceremonies) in order to customize their transformation to organizational agility. Thank you for reading and for sharing your questions!